My first wife had used my support to get two Master’s Degrees at the Claremont graduate school, and we had bought a house near the school, in Upland, even though it was a heck of a commute to my job at NASA’s Jet Propulsion Laboratory in Pasadena. That was a 45-minute drive each way, plus traffic — and there was always traffic. When she got her degrees and split in 1991, I was stuck with the house. It was a down market, and it took a full year to sell (and I accepted the first offer I got). In the meantime, it was the early 1990s and I was living in the house alone. It was an older, established neighborhood. Next door was an Italian widow who had lived there for a good 20 years. At least, she liked to make like she was an old-world Italian, but it was her parents who came from the old country. She was a terrible, awful cook …unless she was making Italian food. She made the best lasagna I have ever eaten. Directly across the street was a Hispanic family, with a stay-at-home mom who probably cooked pretty darned well: everyone in that house was pretty plump. One hot summer night I couldn’s sleep, in part because of the damned Northern Mockingbird (Mimus polyglottos) way up in the tree across the street. It was probably 3:00 a.m., and in this bedroom community it was quiet at night. By 3:00 a.m. I couldn’t stand it anymore, and through my delirium the realization that I had to get up and drive to work in the morning through Los Angeles traffic made me a bit grumpy. OK, really grumpy. But while tossing and turning I got an idea: my driveway bent around until it was parallel to the street to go into the garage, and just opposite the front door, on the other side of the driveway, were some waist-height hedges that were pretty dense. I decided that would be the perfect medium to hold a couple of bottle rockets at the precise angle I needed to “shoot down” that bloody bird. Oh, I didn’t think I’d hit it or anything, but these rockets would shoot about 50 yards and then give a loud, firecracker-like report at the apex, and maybe that would be enough to scare my enemy away — at least long enough for me to fall asleep. Once that plan was hatched, I certainly had to do it! I dug into my stash and grabbed two rockets and a lighter, and went outside. It was utterly quiet except for that freaking bird, high up in the tree in the Hispanic lady’s front yard. My ninja-like hearing located the exact target zone, and I slid the rocket sticks into the hedge at the precise angle so that they would explode, I hoped, within millimeters of that damned thing’s noisy beak. I stood there for just a moment, stark naked in my front yard (hey: I said it was hot! ), and I probably had a little grin on my face and a gleam in my eye as I reached down with the lighter and ignited both fuses simultaneously. I turned and headed for the door, and heard the rapid fwoosh! fwoosh! behind me as the propellant ignited in both rockets, speeding them both toward the single target. As I reached the front door I heard the blam! blam! of the two warheads going off, wonderfully near the spot I had calculated. I slipped back into bed in blissful silence: the damnable bird had fled! Now it really was quiet! I quickly fell asleep. The whole incident was almost forgotten by morning. I put in my day at JPL and by the time I got home that evening, it really was forgotten. As I often did, I popped over to the widow-lady’s house to check in on her, and the Hispanic lady from across the screen was there already, as she often was. After I greeted them, the Hispanic lady got right to business: “Did you hear the drive-by shooting last night?” she demanded. “No!” I quickly said, surprised. Happily, that shot out of my mouth before my higher consciousness informed my reptilian brain that she was talking about the two “shots” from my bottle rockets, from what seemed like days before. She assured me that yes, a car-load of hoodlums had sped by, taking random shots at …well, she didn’t know at what, exactly, but wasn’t it a shame that that kind of crime had made its way from Los Angeles into this nice town?! I made some sort of sympathetic agreement and expressed my hope it would be just an isolated incident, and ducked out so the two ladies could tsk-tsk about it together. It looked like I had gained my sleep, but the mother across the street probably didn’t get any more that night. Thankfully the house sold soon after, and I never had trouble with that Mockingbird again! So even though there was a minor collateral casualty, I won the battle and the war, too. And that’s why, I tell my new wife, it’s always useful and downright practical to have a little cache of assorted fireworks on hand in a well-equipped home. A good friend of mine has been kept awake all night for the last two weeks by a bird in his landlady’s tree. 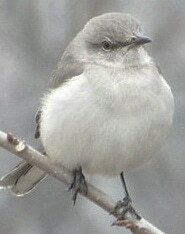 Don’t know if it’s a mockingbird, but it may well be. He’s thrown rocks at it, but they just bounce off the leaves. I just sent him a link to your article. I hope he isn’t arrested. This is, after all, Los Angeles, not Upland, and there is much less tolerance for loud reports in the middle of the night here. So now I know the real name for what I call the “Blue Bird of Misery” who sings all night! I HATE that damn thing and dream of the scene with Steve Martin in Father of the Bride when he goes nuts with the shotgun to get rid of the birds. About 25 years ago my wife and our two young kids drove over Medano Pass in southern Colorado. We stopped for a picnic lunch and I spotted a blue grouse in a tree. I pointed it out to my kids, but they just couldn’t see it. So I picked up a rock, intending to throw it near the grouse. I told the kids to watch where the rock went. This didn’t go exactly as planned, and I hit the grouse square in the head. It dropped out of the tree like a…well like a rock. The kids started screaming at me and telling me I was a horrible murderer. My daughter ran over and picked the grouse up, sobbing the whole time. After a couple of minutes of this commotion the grouse opened its eyes, looked around, and flew out of my daughter’s arms. The kids still bring this up when they want to razz me. But, but … I *like* listening to mockingbirds at night! I do know how it bothers people, though; my mom hated them, and there was always one singing whenever they’d visit and sleep over. I now know the name of the critter that keeps me up at night. I promise not to use guns, fireworks, or rocks. Past adventures have made me notorious to EMS, cops, and others…. Your piece is very well written, and made me laugh like hell! I needed that! Sorry about how things went with your first wife. But, well, you seem to be much better off now. In the end, It could have been good luck! I grew up next to an older German woman (escaped from E Germany). One summer afternoon she was standing in her front yard throwing tennis balls up into the tree. When Mom asked her why, she said she was trying to stop the noise. Huh? Just then a cicada started up, and she started in again with the tennis balls! 😀 We found a cicada to show her what was making the noise…I think she gave up on quiet for a while. I don’t know if it will work for your Mockingbirds or not, however, I had a similar issue with some Galahs while living on a property near Junee. They are very noisy and had set up in the trees around the house. I mentioned the problem to the owner of the property. The next week he was over putting the nests from a few of local hawks in the trees around the house; the hawks had left the nests only a week or so before. He said the Galahs will smell the hawks due to the nests and keep away. Well, I didn’t see any Galahs in the remaining six months I lived there before having to move into Junee. Nothing like fighting nature with nature. Taking your cues from ‘Steel Magnolias’, I see. Hey, whatever works. Funny! I don’t suppose you gave any consideration to the possibility of the rockets setting the tree or a building on fire? I am well aware of the midnight caller… but in the late 1940s or early 1950s when I was 12 or 14, we lived in El Monte, which isn’t too far from Upland, and my mother liked to take afternoon naps in a hammock under some big trees in the side yard, but Blue Jays would squawk and be a pest. She told me she would give me a nickel for each bird I could shoot with my BB gun. Then later, wood-peckers started banging on the vent pipes on the roof. What a racket they made, but mom said they were off limits and I could only shoot to scare them off. But I did keep mom’s afternoon naps more peaceful during the summers and I thinned the Blue Jay population some. Things were a lot different back then. Growing up we had a big shade tree in our front yard. It was a popular gathering spot for starlings. At times thousands of them would gather up there and they ALL had something to say. They were LOUD. Fortunately I had a small cache of bottle rockets and I knew just how far away I had to stand. One salvo into the middle of the tree’s foliage and those starlings were outta there like Carlsbad bats heading for their evening feeding. I have a quick one regarding pests. Twenty years ago we moved from hell (MA) to the Live Free or Die state. My wife was trying to feed the local birds but the squirrels would not let her, eating all of the bird food. I knew I had moved to a more heavenly place when I went to the local K-Mart and asked the manager what I could buy to deter the squirrels, and he answered “why not just shoot them”? Just listened to the link on how they sound. Oh man that would drive me bonkers all night, He was probably lucky you didn’t have a shotgun or flame thrower. You totally have the wrong idea about Mockingbirds. When they keep you awake with the male Mocker singing his heart out, you are supposed to awaken your love mate and make love to the sounds that the birds makes. Or, on a totally different tact, you can take a hand-held recorder underneath the tree where the Mocker is singing and record about five minutes of his song. Then, play it back to him. It will drive him nuts!! He will begin to compete with “…the other bird (in the recorder)” and will tire himself out with his efforts to out-sing the other bird. You just got to know how to play with these animals. I sometimes have guests visiting from overseas and if they like to sleep with the window open, the mockingbirds keep them awake. We were told that is was illegal to kill or harass the mockingbird. It looks like they fall under The Migratory Bird Treaty Act of 1918. Since you are in CO I have to assume you do not live in a wood sided house. When I lived in the mountains northwest of Boulder I was visited by a “flicker”. If I ever have to make a birdicide decision between a flicker and a mockingbird, mr. flicker better buy a Kevlar vest! Peacocks are prolific where my New Zealand brother-in-law lives. One had taken to making raucous calls at five a.m. One morning, Paul took out his shotgun and shot the noisy creature. It took hours to clean up all the feather fragments! I live in the country and frequently have friends tell me they would love to live in the quiet and peaceful country. Ha ha ha. Almost all night long the big herbivores are eating. Crunch, crunch, crunch. It takes a lot of grass to grow a 1200 lb bull. Mockingbirds are singing and we actually have one that has learned to ring like a phone and that tends to wake you up more than their song. Roosters have no idea if it is morning or not and start crowing around 3am. I do note they still have their eyes closed. Cats are climbing on the tin roof looking for tasty mice morsels, which also have little feet that skitter around. Oh yes, it is noisy all night. What wakes us up is the sudden quiet! Yes, the coyotes are moving in, time to wake up and go count the chickens. At least Mockingbirds sing. Try a whippoorwill! over and over and over! (Why do they all like 3 AM?!) Loud noises do not bother them, a .22 with bird shot, did nothing! at more than 10 feet the birdshot is worthless anyway. Never could get rid of the noisy thing. Several years ago I lived in a town home community in metro Denver. There was a tree in a common area, just on the other side of my backyard fence, where a starling loved to sit and taunt my cat. My poor cat would sit there on the fence below, watching and plotting his revenge. We finally felt so bad for the cat (and were so tired of listening to that darned bird) that my husband decided to do something about it. He grabbed an air gun and fired at the bird, intending to scare it away. Wasn’t I surprised when he actually hit it and it dropped out of the tree! What happened next was priceless — my cat had evidently been sitting on the other side of the fence under the tree. He jumped over the fence, bird in mouth, and dropped it on the porch at our feet. He was purring loudly and actually smiling! That was the happiest day of his life! My solution for the same difficulty was in violation of the Migratory Bird act of 1918. However, it was over 30 years ago, and the statute of limitations works in my favor. I took the silent but deadly air gun route, and no more mockingbird. I had a nice one with a scope. And a daylight bird, while I was on midnights…. I think with a nuisance animal, I might be ok too. The adults singing I can handle. They haven’t been doing it at night. Even their fussing is tolerable, barely. What I can’t stand are the very loud, shrieking babies. They go on for roughly three weeks per brood and they have had six broods this year. Yes, six! The shrieks go on about one per second from sunup to sundown and this year from the middle of March to the present (late August). Sometimes they can be heard from inside the house. Go to YouTube and search under baby mockingbird for a sample of this little bit of hell. Some people actually rescue and feed the worthless things. The killer is that no one else in the neighborhood has mockingbirds. We take walks five times a week since January and should know by now. Any advice on how to get them to nest at least 100 yards from here would be appreciated. I am listening to one or two right now. I actually think they’re hilarious. They imitate all kinds of other birds. And frogs. And bugs. and whatever noises they hear a lot. It’s pretty funny to hear a frog, a june bug and a seagull hanging out with a blue jay in a pine tree. That being said, it’s bachelor males who sing all night. they’re “advertising” for a mate. So if you really want to shut the bachelor mockingbird’s beak – you’ve got to find him sum luvin.’ these poor guys are obviously pent up, and freaky. judging by their mating calls, they don’t seem to care who or what they shtup. Different kind of bird? No problem. Inter-species? Why not? (“Hmmmm, you’re a lonely lady frog? i’m a lonely bird, but for you i’ll sing like a horny toad. listen, sounds to me like we’re speakin the same language. wanna come up in my tree and see my acorns? what’s that? you’d eat me if i were a june bug? well, well, well… didja hear that? june-buggy enough for you Kermetina? wink wink, nudge nudge, say-no-more”). so have some compassion. what’s a guy to do in that condition if he hasn’t got hands? y’all can at least drop by petsmart and find him a love doll. actually, a great solution is hang a mirror in his favorite tree. he’ll fight his own reflection until he’s exhausted (but that other guy is tough! he won’t leave!) eventually he’ll give up and fly off to a new territory.